I love making kombucha. 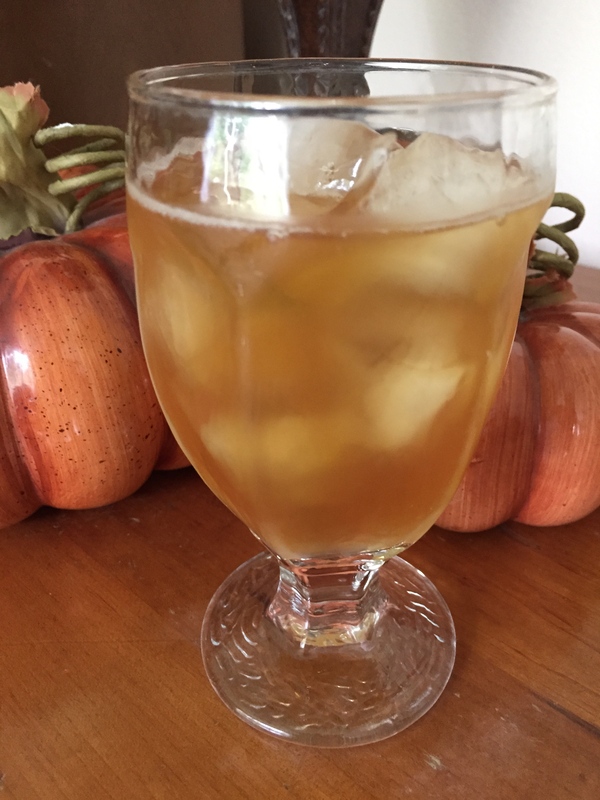 If you don’t make your own yet, please read my post here for tips to get started: Kombucha – Make It Yourself. If you are local, let me know if you want a scoby to start with. I have a long family-tree. I’m always making different flavor combinations when I bottle kombucha. I have many favorites but still longed for a pumpkin pie spice flavor. I’ve been developing this and I just love it! If you love pumpkin, you will, too. I thought about waiting until fall to post this recipe, but I just couldn’t wait. Pumpkin should not only be celebrated in one season! I’d already made a batch of tea with 7 organic black tea bags and 1 cup of sugar and let it cool. I gave the kombucha a gentle stir with a wooden spoon and poured off 1 cup to go in the new batch. I GENTLY stirred this up until the pumpkin mixed in. I filled 6 bottles, leaving a little breathing room at the top of each, and capping tightly. They went into a cooler for 48 hours and then into the fridge. Deliciously different.